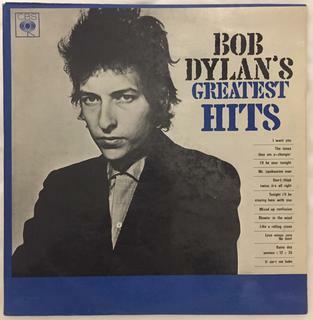 Bob Dylan’s best selling album in the Sixties was a compilation called Bob Dylan’s Greatest Hits. The 10-track version, with the blue, Grammy Award winning photo by Rowland Scherman, was released in the US on March 27, 1967. There were however two different other versions available. 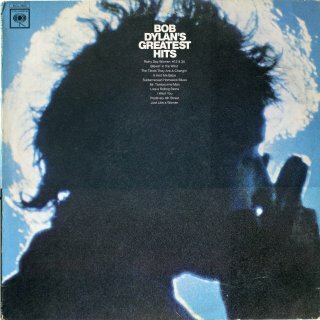 There’s a version with Dylan holding a Zippo lighter which has 12 tracks. That there’s nothing from Blonde on Blonde on it, leads to the suggestion that the track list was assembled in Spring 1966 and I’ve read somewhere that the album was actually released in Holland on March 27, 1966 – exactly a year before the US release date. 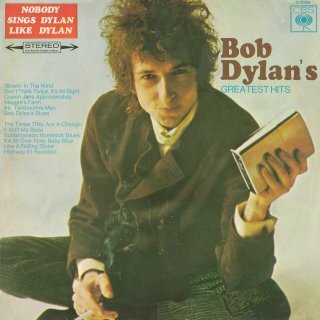 This release has the caption ‘Nobody Sings Dylan Like Dylan’. And then there’s a third version, released in the UK and Ireland. 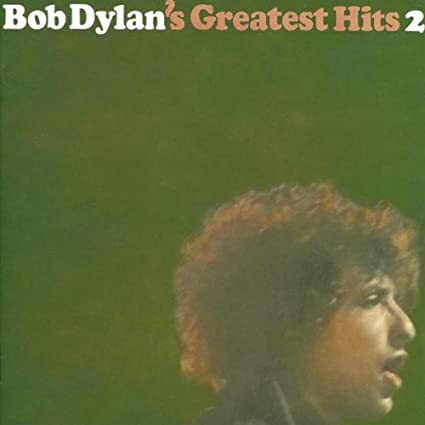 This one is called simply Greatest Hits, also has 12 tracks , but there songs from Blonde on Blonde among them (but ‘Positively Fourth Street’ however). 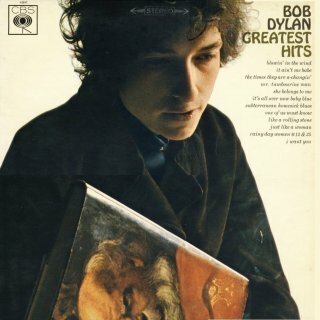 On the sleeve there’s a photograph of Dylan holding a book with a painting of a bearded man. I can’t find a release date of this third version anywhere. No my question is: was the UK version released before or after the US version? And can anyone confirm the release date of the European version? Was it really released in March 1966 or only assembled? For the US version there are usually three photographers mentioned: Rowland Scherman, David Gartner and Fred Hammerstein. Rowland Scherman made the Grammy Award winning picture of the front sleeve on November 28, 1965 in the Coliseum in Washington DC. David Gartner made the picture on the back at New York’s Forrest Hills tennis courts on August 28, 1965. But what did Fred Hammerstein contribute? I can find absolutely no info on a photographer by that name, except for a sleeve of The Druids Of Stonehenge – Creation where he again is mentioned together with Gartner. 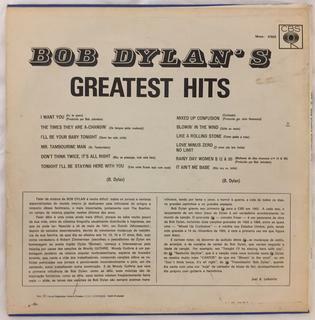 I'm almost certain (although I can't confirm, as I got rid of my vinyl), that the original UK Greatest Hits LP did NOT have "Positively 4th Street" - but the UK "More Bob Dylan Greatest Hits" DID. When the CD versions came out however, PFS was on the first album, not the second. This Discogs release states a Dec 1 1966 date for the UK version. All the other variations mention simply the year 1966. This version was released in the Netherlands March 27 1966. Second version was released in the UK Dec 1966. By the way: love your avatar, Zandt. It's Gillian Welch and Dave Rawlings, isn't it? As far as the UK release ("Dylan with book"-cover) goes: I can confirm that neither the CD nor the Cassette version include Positively 4th Street. ...and it gets even more confusing with the CD versions of the UK release. I have two versions of the above - the first I bought had only 10 tracks, but the second had the 12 tracks originally released in the UK in vinyl in 1966. Funny thing: the US release came exactly 1 year after the Dutch release. So, the official title of this LP was 's Greatest Hits ...? You are forgetting this rare, Brazilian mono LP from 1970. The tracklisting is unique to this LP, and it features a rarity in the shape of the original, mono 7” version of “Mixed Up Confusion”.